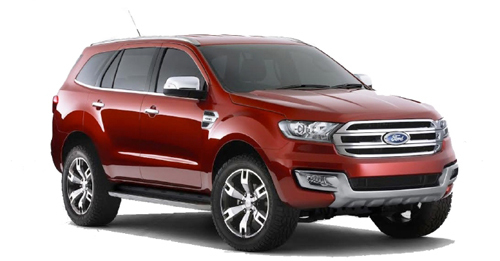 Ford India has introduced the new Endeavour SUV with a more simplified variant break up and marginal price drop. 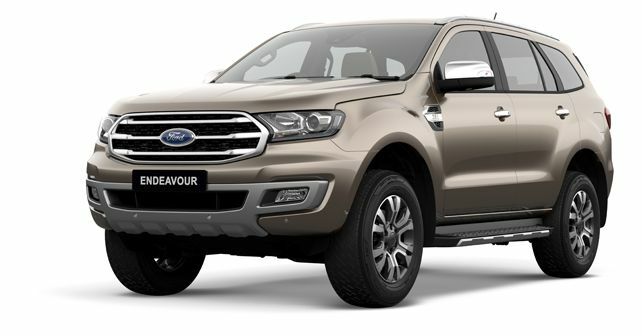 The latest generation Ford Endeavour which was introduced in India in 2016 has now been given a refreshing update with some styling tweaks, more equipment, added capabilities and at a slightly more affordable price. With a starting price of Rs 28.19 lakh, Ford has also decided to simplify the variant break up with only three trim levels on offer. The 2.2L Titanium Manual 4x2, 2.2L Titanium+ Automatic 4x2 and 3.2L Titanium+ Automatic 4x4. The 2.2-litre four-cylinder turbo diesel engine is offered with new six-speed manual or the existing six-speed automatic gearbox on offer and will only be available in 4x2 drive. The engine develops 157bhp and 385Nm of peak torque. Additionally, the range-topping 3.2-litre engine is a five-cylinder turbo diesel unit carried over from the previous model. The engine generates 197bhp and 470Nm of torque and will only be offered with a six-speed automatic and as a 4x4. The 3.2-litre 4x4 version comes with an active transfer case with torque on demand and terrain management system which allows the driver to choose from four preset modes – Normal, Snow/Mud/Grass, Sand and Rock. The Endeavour also has a water wading capacity of 800mm. Ford has also equipped the Endeavour with new features like hands-free Power Lift Gate, 8-way electronically adjustable front seats, and active noise cancellation. Six airbags will be offered as standard, while the Titanium+ will come equipped with a seventh airbag for the driver’s knee. The centre console is equipped with an 8-inch touchscreen infotainment system with Ford SYNC 3 and with added support for Apple CarPlay and Android Auto. The Endeavour will continue to offer Semi-Auto Parallel Park Assist while Push start button, keyless entry, rear and front parking sensors, rear parking camera, automatic headlamps, automatic wipers, DRLs, dual-zone automatic climate control will be offered across the range as standard equipment. Aesthetically, the front bumper of the Endeavour has been tweaked along with the chrome plated front grille. the rear bumper has also been redesigned and it features skid plates at the front and rear which are integrated to the bumpers. The car sits of newly designed 18-inch alloy wheels and will be offered in five exterior colour options; Sunset Red, Diamond White, Absolute Black, Moondust Silver along with the new colour option of Diffused Silver. With the introduction of the new model, Ford has also managed to cut down on the price of the SUV with an entry-level price of Rs 28.19 lakh for the 2.2L Titanium model. The 2.2L Titanium+ AT is now priced at Rs 30.6 lakh which sees a reduction of around Rs 47,000. The 3.2L Titanium+ AT is priced at Rs 32.97 lakh as it has been given a price cut of Rs 34,000. All prices are ex-showroom.